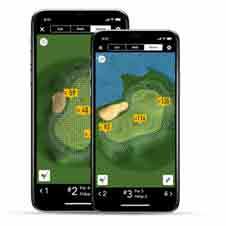 Touted as the game’s most complete game improvement app, GolfLogix features over 35,000 interactive 3D course maps to provide users exact distances to any point on the fairway or green. For an annual fee of $49.99, players are provided with intelligent 3D green maps, accurate GPS distances, in-round stat and club tracking. 18Birdies offers a variety of ways for golfers to find more enjoyment in the game both on and off the course. This handy golf app features include an award-winning GPS rangefinder for more than 35,000 courses around the world, digital scorekeeping, stat tracking and shot distance tracking. Golfers can also book tee times at more than 6,000 courses in the U.S. In addition, 18Birdies Premium offers access to a digital caddy that provides machine learning-based club recommendations, strokes-gained analysis, a full library of side games, the ability to run single or multi-round tournament with live leaderboards and premium video lesson plans. Available for $5/month or $45/year. While golfers may feel that ease and dynamic pricing are the entire reason for the internet, the PGA Tour has grand designs on improving the experience by eliminating booking fees. 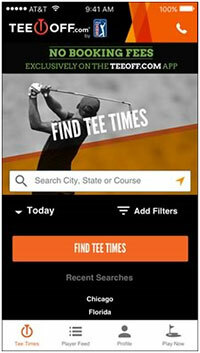 TeeOff.com is a new mobile app debuting on the App Store and Google Play. The app provides golfers with immediate access to a over 500,000 tee times along with discounted deals and an impressively easy-to-navigate site. “TeeOff.com is excited to launch our first mobile app and to offer golfers free booking at every course, every time,” says Gary Cohen, chief executive officer of EZLinks Golf, the app’s parent company. “With over 50 percent of our traffic coming from mobile, the TeeOff app is now the best way for golfers to find, book, and save on their next round of golf. Let’s agree on one thing about golf: there’s nothing worse than hard feelings among your foursome when the Rules of Golf are in dispute. Given smartphone technology, golf’s sometimes weird and sometimes wacky rules are now at one’s disposal at the golf course. Made for IOS and Android at a price of $3.99, The Rules of Golf app lets you ditch your hard copy of the rulebook for a dynamic internet version. Just type in a word or a phrase to locate both the question and the final ruling. And if for some reason the final ruling is in question, there’s even an option to email USGA experts for more assistance if necessary. 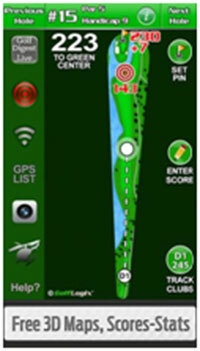 A “swing by swing” post-game review of your shots is available through the Free Golf GPS & Scorecard App. As a GPS rangefinder, the app covers virtually every course in the world. 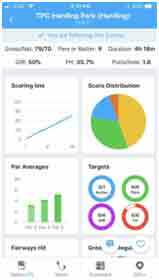 A digital scorecard allows you to keep score, while a data sync with a website allows you to perform a post-game review of your states. Those seeking even more information from their phone can spend $77/year to upgrade to Pro Looper ($77 annually) for a more comprehensive evaluation of your swing. 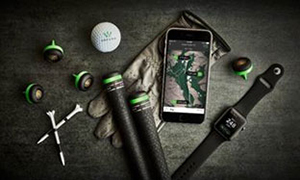 Touted as an all-in-one system, Arccos 360 combines shot tracking with GPS 2.0 and a proprietary analytics platform to help golfers lower their scores and have more fun. Boasting improved and smaller sensors from the company’s first system, Arccos 360 automatically records every shot a player makes and allows instant analysis of data to reveal strengths and weaknesses. Compatible with iPhone and Android devices, the system provides GPS 2.0 that includes rangefinder distances to any point on 40,000 courses nationwide and one-touch, front/middle/back yardages to the green.